Grant Pearce is local to Romford and graduated from Havering College of Further and Higher Education in 2014. 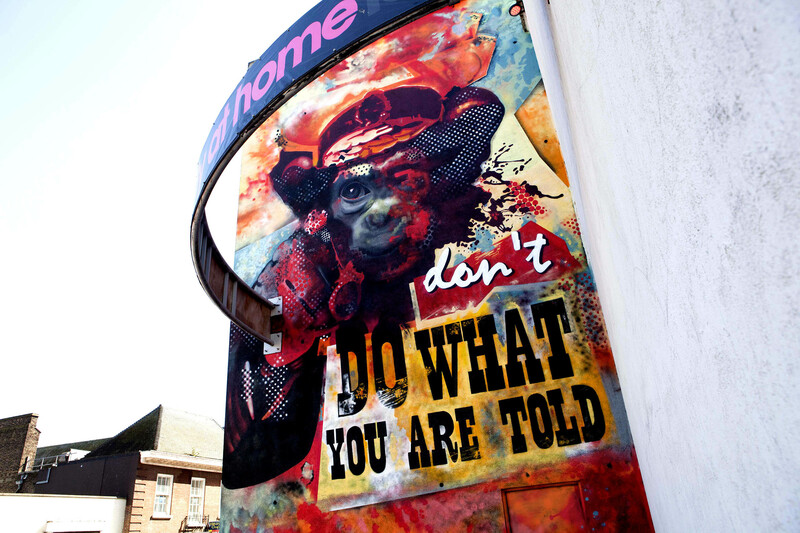 Grant’s piece ‘Monkey Duz’ is located on Fiction nightclub and was inspired by the idea of rebelling against society’s rules that hold people back from being free and doing what they want to do. Grant is currently a graphic designer at a publishing company.